\r\nSEO in the online world is one of the best and highly effective methods of promoting a business. \r\nFind out how I can improve your search visibility today. 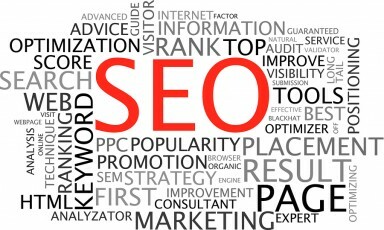 \r\nI can help to fuel your brand and generate higher rankings on search engines. Don’t take my word for it, see my customer reviews below. \r\nStep one: We analyze your site to understand your business, your industry, your competitors, and we do competitor analysis in order to understand what your competitors are doing. \r\nStep two: Now that we understand all of the factors involved in your business and site, we\'ll start the optimization process. \r\nStep three: We will work on how you can gain quality traffic to your site. \r\nStep five: We will work on earning your site mentions and links from websites with high authority, and gain relevant mentions from popular blogs and press sites. \r\nLastly: We\'ll make sure that your website is driving visitors through your conversion funnel by testing all of the elements that we\'ve implemented. \r\n How long for results? \r\nTypically, 1-3 months for old sites and 3-6 months for new sites. \r\nThere is a simple equation that is applicable to the online world. \r\nGenerally, this never happens. If for any reason it does, I will continue the SEO work for free until results are shown. \r\nContact me today to take your business to the level!